Mexican manufacturing success continues to be a major influence on the global economy. FXStreet reported the country's manufacturing sector had a strong February after a very slight dip in January this year. Even with setbacks, Mexico's manufacturing market continues to grow thanks to a diverse talent pool, favorable trade agreements and an ability to produce a variety of goods. Organizations that subscribe to old biases may feel Mexico's recent prosperity is due to cheap labor and a lack of government oversight. In reality, the country's infrastructure is not only flourishing, it's becoming one of the major sources for tech talent. TechCrunch reported many industry analysts expect Mexico to become the world's fifth strongest economy by 2050. Part of this success comes from investments in promising industries like software and tech development. Mexico has a large youthful population devoted to education and finding promising careers. Currently, the country trains 130,000 engineers a year. This outpaces Canada, Brazil and Germany, and is projected to increase in the coming years. Companies would be smart to invest in Mexican manufacturing while the country's industry is growing and skilled workers look for new opportunities. Startups that nearshore to the territory will find the talented and affordable workforce necessary for innovative production. As startups develop new technology without proven market success, they need to focus on designing products and responding to market data. Nearshore Americas suggested a primary outsourcing benefit for young, innovative companies is an ability to share responsibilities. Once businesses find dependable foreign partners, they can utilize cost-efficient services to perform necessary back-office and manufacturing tasks while focusing on consumer data and innovation. The advantage of nearshoring is that the visibility provided by a lack of geographical distance means startups can save money on supply chains and transport while checking in on partner progress. It's a way to share duties without giving up control of overall operations. Once a nearshore facility creates a minimum viable product, a rapid supply chain allows the company to learn instantly from initial launches. It takes more than a great idea to get new software or a consumer tech product off the ground. Companies must plan how to manufacture, package and transport merchandise while responding to consumer service demands and financial responsibilities. Outsourcing manufacturing to third-party facilities can help companies learn from the experience of their partners. A dependable service provider helps smooth over rocky starts and respond quickly to success. 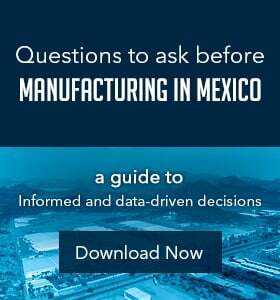 If a successful company wants to build its own manufacturing facilities in Mexico, working with a local partner can help the business negotiate real estate terms, find labor, and get deals on utilities and other necessary costs. Sheltering services have the answers to all the questions startups have yet to encounter but should address in early stages of operations. Many companies are ruined not by failure, but by success. Growing too big, too fast is a strain many startups can't deal with, and a popular product creates demand they can't fill. Working with an outsourced manufacturing facility can provide an experienced and flexible source for quick production alterations. 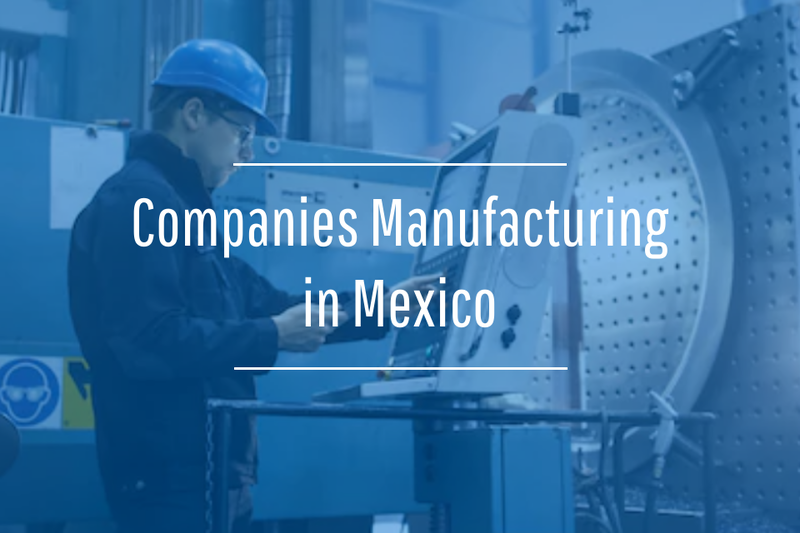 By partnering with a Mexican manufacturing organization, companies gain a service and experience with the country's production capabilities. 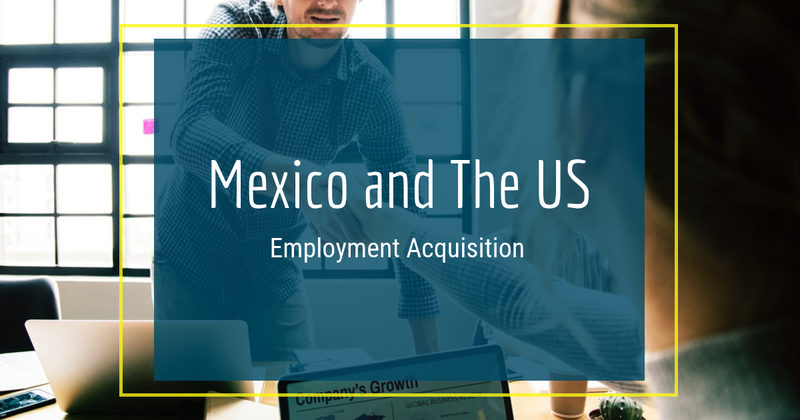 A business may begin by outsourcing assembly but then choose to build their own facilities in Mexico if they are happy with the talent and financial benefits the region can provide.